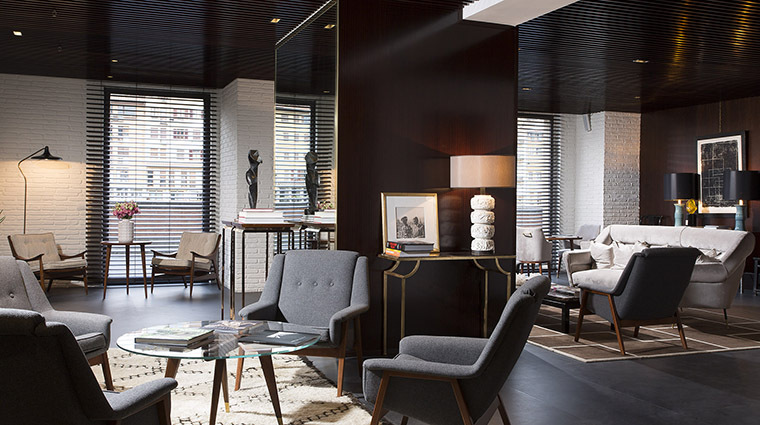 Portrait Firenze is the latest hotel in the Lungarno Collection, the stylish, intimate and chic boutique hotels owned by Italy’s Ferragamo family. 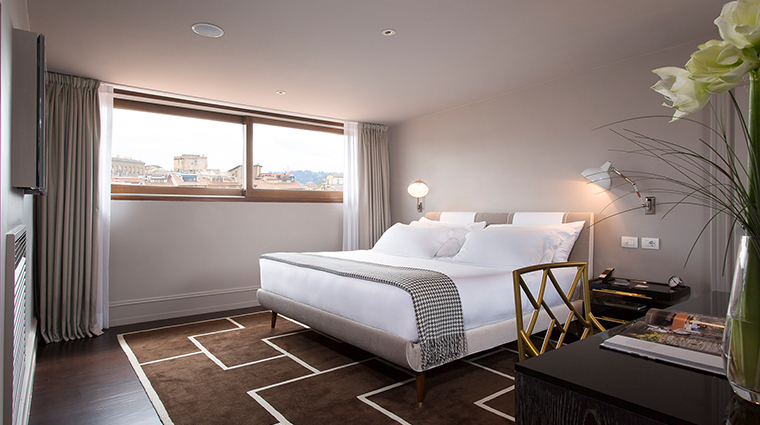 This one, like a couple of its sister hotels, is located near the iconic Ponte Vecchio and is within walking distance of Florence’s major sites. 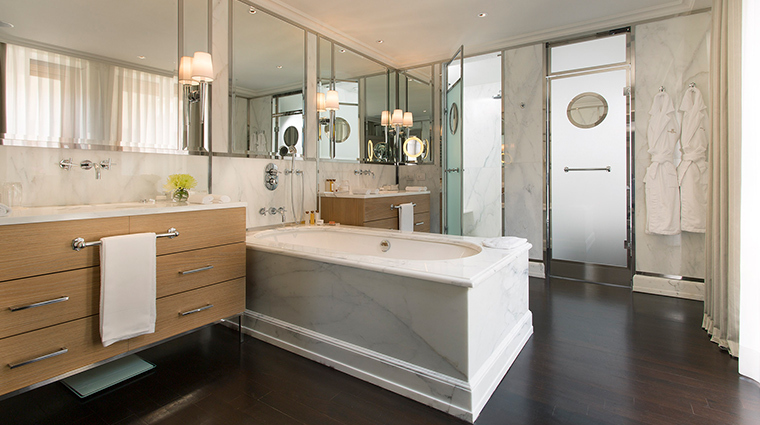 It’s also impossibly chic, attracting celebrities like Ron Howard and Tom Cruise. 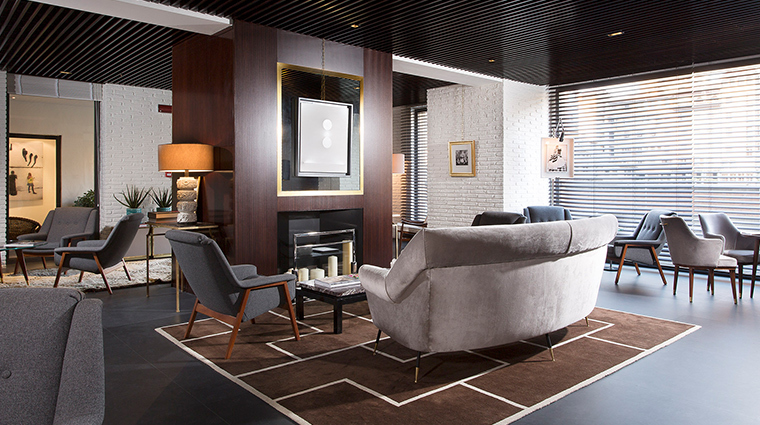 There is no reception area, just an elegant lounge area dressed in cream and gray peppered with original vintage pieces of art — it’s a contemporary homage to the 1950s dolce vita lifestyle. 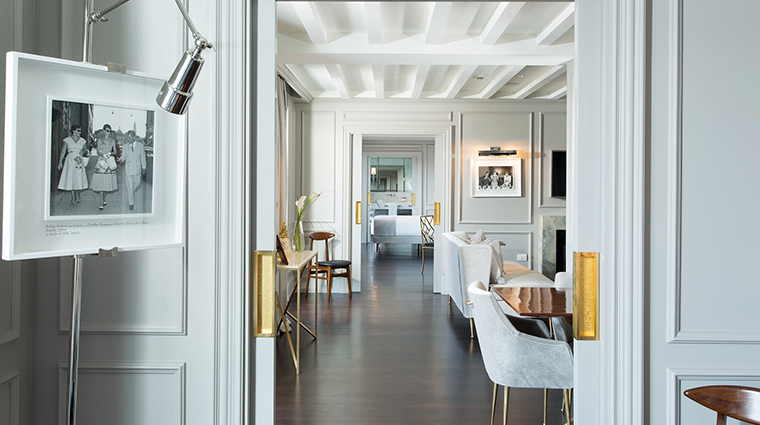 Florence architect Michele Bonan designed the spaces and rooms with lavish materials and cool, mid-century furnishings. It certainly feels like your own private address, close to much of what makes Florence so spectacular (including the shopping). 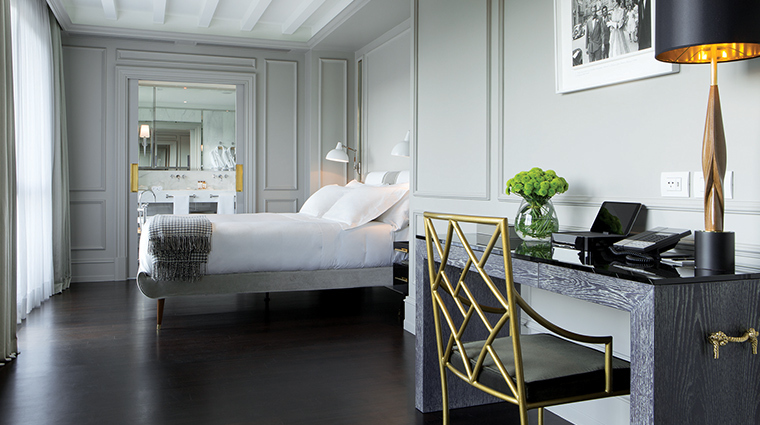 Service is highly tailored to each guest, with a personal cocktail upon arrival and personalized shopping recommendations and cultural tours. 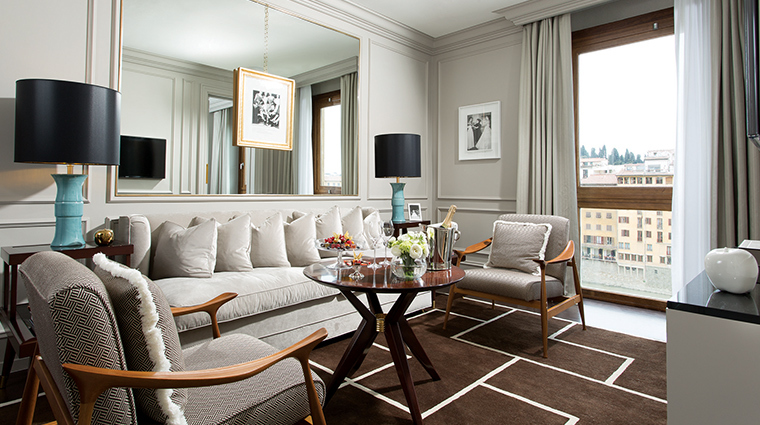 Just steps from Palazzo Vecchio and Piazza della Signoria, Portrait Firenze has an enviable location at the center of the historic city. 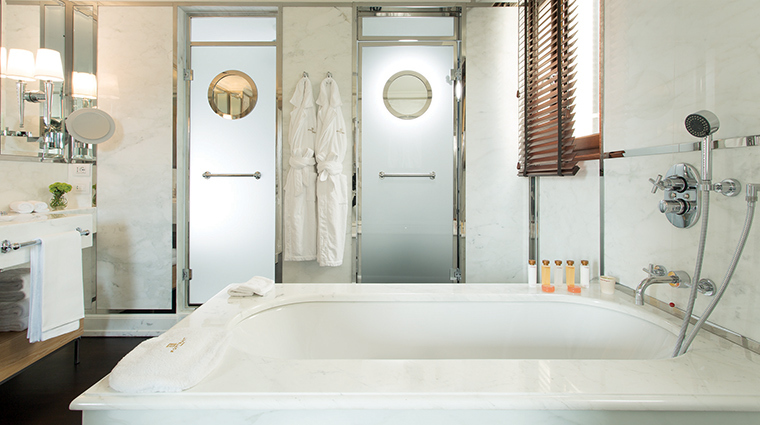 This boutique hotel is ultra-exclusive, with only 37 rooms total (32 of which are suites). Free entry to the Ferragamo museum is included in your room rate as well as a discount on purchases at the nearby flagship store. Thoughtful amenities abound: fresh flower displays are around every corner and a 24/7 concierge is on call to provide advice on the Tuscan city. 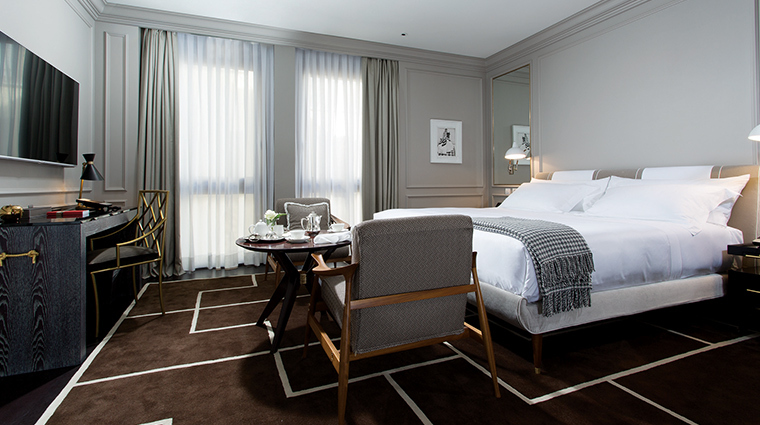 The hotel provides vintage-style bicycles so you can roam the city by foot or on two wheels. Wine aficionados will appreciate tastings of Tuscan vintages and the bookable tours of exclusive local wine cellars. Designed by designed by Florentine architect Michele Bönan, you are meant to feel at completely home in your Tuscan room. 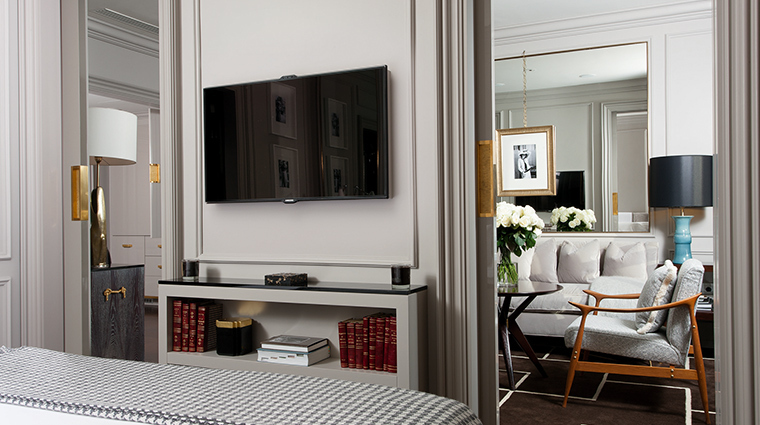 Hardwood floors, a muted color scheme, large mirrors and cashmere throws evoke a sense of stylish calm. 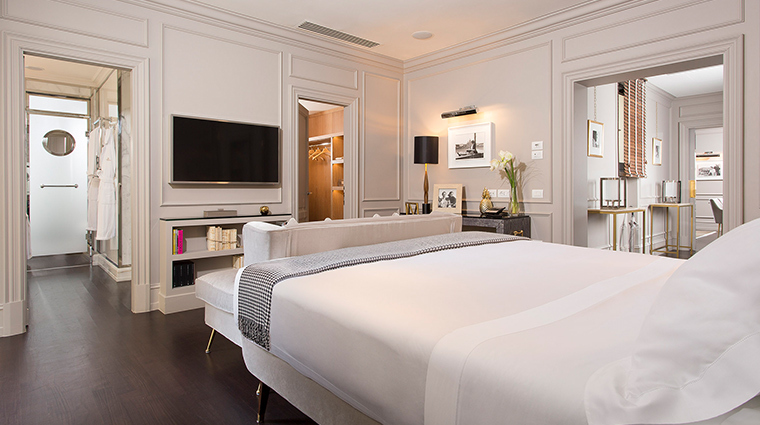 Rooms and suites are on the larger size (starting at 516 square feet) and come with the latest Bluetooth technology and even an iPad loaded with info and entertainment options (the genius “goodnight switch” turns everything off at once). 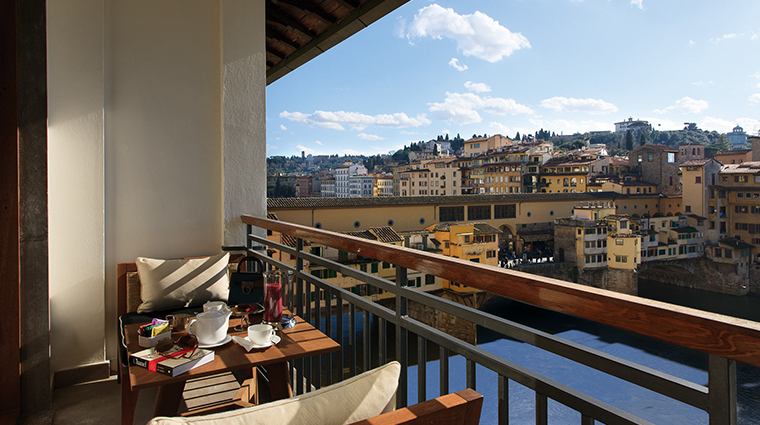 The jaw-dropping views through floor-to-ceiling windows are of the city, the Arno river and, of course, the Ponte Vecchio. 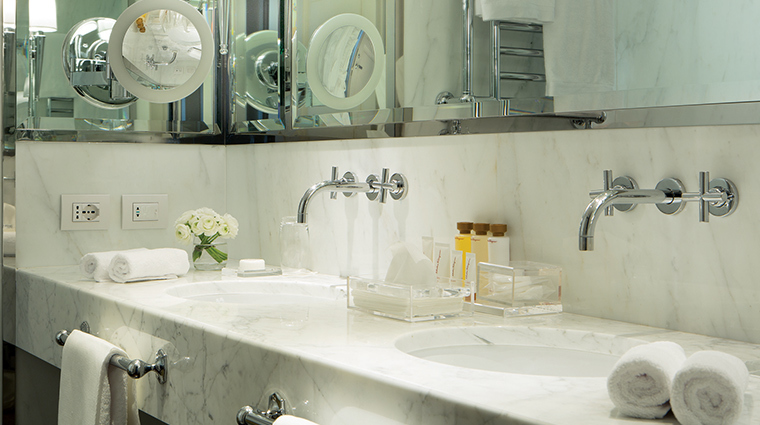 Bathrooms are a delight — covered in white Carrara marble and equipped with rainshowers, professional-quality hairdryers and exclusive Ferragamo bath products. 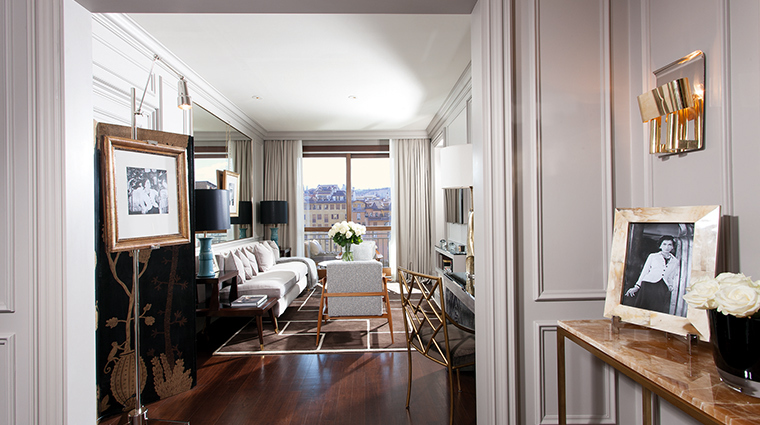 Suites have a small kitchenette and some of the very best views in town. 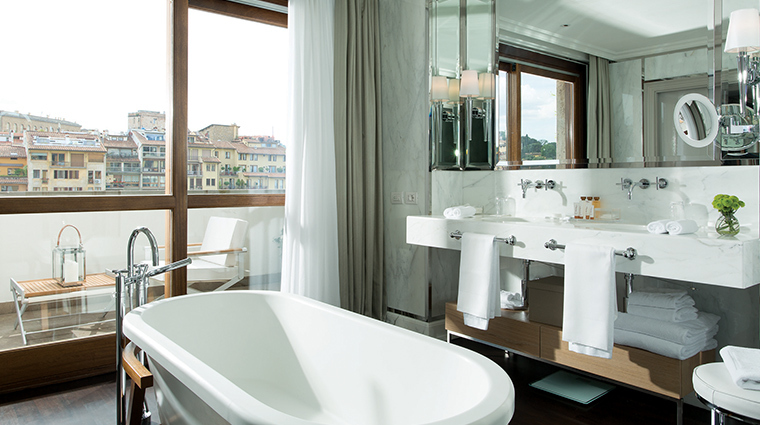 The stunning Ponte Vecchio Suite has a riverfront terrace, two large bedrooms, two bathrooms and walk-in closets. Downstairs is the pretty Caffè dell’Oro, where you can eat a bountiful breakfast in peace. The space, which is all dark woods and white brick walls with more stellar views of the Arno and beyond, provides a lovely entrance to Florence life. It’s also a nice spot for a lunch or light bites (mid-morning espresso and pastry, anyone?) throughout the day. At night, expect the chic Italian bistro to turn out upscale Italian fare such as pumpkin ravioli, roasted veal tenderloin and tiramisu.